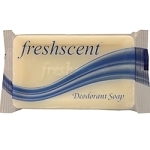 Home > Hygiene > Freshscent Soap 3 oz. 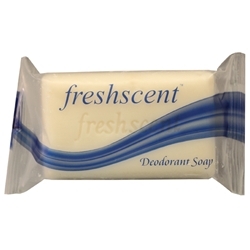 Freshscent Antibacterial Deodorant Soap. 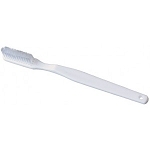 Vegetable based soap containing the antibacterial agent Triclosan. 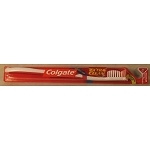 Contains no animal bi-products. 3 oz. wrapped soaps. 72/case.